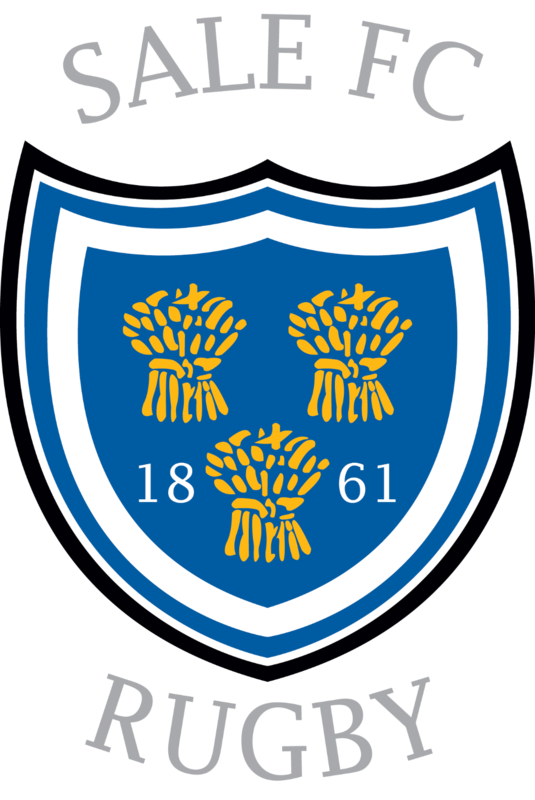 Sale FC overcame a strong South Leicester side by 39 points to 7. Hinckley also picked up five points today but we still remain top on points difference with a game in hand. Tries from Dan Birchall, Sam Stelmaszek, Adam Aigbokhae, Rhys Davies and Andy Hughes plus 14 points from the boot of Chris Johnson saw a fantastic performance in front of an enthusiastic crowd on a very cold day. After climbing to the summit of National League 2 North last week, Sale entertained sixth place South Leicester at Heywood Road. If they were feeling any pressure to sustain their position, Sale weren’t showing it, as they quickly started to dominate territory and took the lead with a penalty from Chris Johnson following a high tackle. The first try duly arrived as the forwards attacked the try line and captain Andy Hughes dived over with Chris Johnson adding the conversion. Another penalty from Chris Johnson extended the lead before winger Anthony Bingham somehow wriggled free from several opposing players in midfield to set up a sweeping move that saw Rhys Davies score in the corner. The second half had only just got underway when South’s fly half intercepted a pass on the half way line to sprint in unchallenged and add the extras. However, this was just a temporary blip as the blue and whites applied the pressure again with a kick to the corner and, having been stopped just short a couple of times, Dan Birchall powered over for his fourth try in four games. Not even an unfortunate yellow card for the try scorer could derail the home side as full back Jonty Rawcliffe left players in his wake with a 60 yard break and, with the defence all at sea, Adam Aigbokhae strolled in for the bonus point try. Sale then proved that they can defend as well as they can attack as they put bodies on the line time after time to resist wave after wave of South Leicester attacks before another fantastic break, this time from Tom Ailes, led to Sam Stelmaszek adding a fifth and final try. Second placed Hinckley also achieved a bonus point win at Sheffield Tigers to stay level on points and set up what should be a fantastic and potentially season-defining game at Leicester Road next week. KO 3pm.